WWE is one of the most popular forms of sports entertainment on the planet, and droves of kids and young adults pile into arenas across the country to get a glimpse of their favorite WWE Superstars. 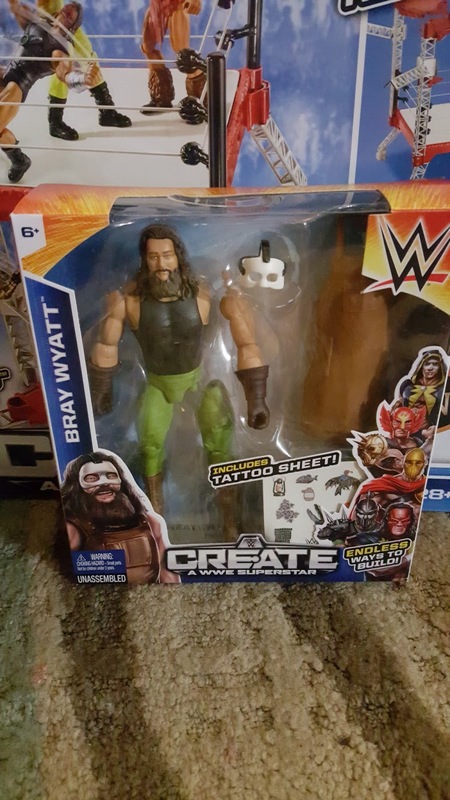 Seeing live WWE action is great, but Mattel and the WWE have teamed up to offer fans the ability to bring the sport home and create their own action with two new products. With Mattel’s “Create A Superstar” and “Create A Ring” fans can build their own or recreate a famous match up utilizing their very own WWE Superstar and have them participate in whatever ring configuration they desire, whether it’s a “Hell in the Cell” or Tables, Latter's Chairs. 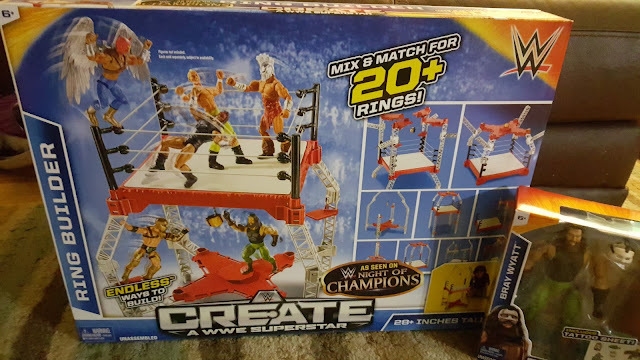 Mattel’s got WWE fans covered with “Create a Superstar” and “Create a Ring” product. Build the WWE ring you’ve always imagined! Create an Original WWE Superstar! Now it’s easy for kids to build the Superstar they’ve always dreamed of seeing in the ring! Switch around body parts and mix-and-match battle gear to build a completely unique WWE Superstar. Get your Superstar ring ready with a variety of battle gear including masks, capes, weapons, armor or removable tattoo decals, and much more. Show off your customized creation or challenge your favorite WWE Superstar to the ultimate showdown against a rival he’s never faced before. We had a friends son test this out and he LOVES it! It was fun for him to be able to build a Superstar how he wanted it to be. As well as making the Ring one he truly loves. These make a great Christmas Gift for the WWE loving child in your life.